Shop Our Mulch Styles Now! 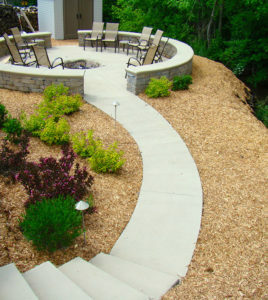 Mulch is one of the first products that a person thinks of when starting a new or existing landscaping project. 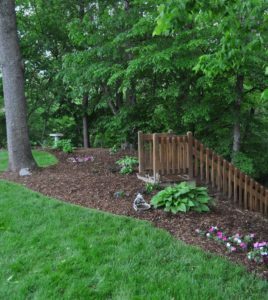 Mulch provides numerous benefits to your landscape that include the suppression of weeds, the ability to retain moisture and the control of erosion. 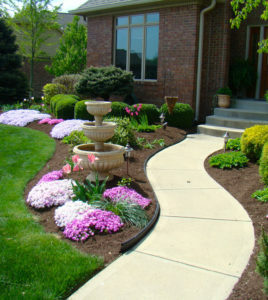 You can never underestimate the added aesthetic value and curb appeal of your landscape beds once covered with McCarty’s brand of landscape products. At McCarty Mulch & Stone in Greenwood, we believe that when it comes to mulch, quality is priority #1. That’s why we manufacture and process our own line of bulk hardwood mulches, hardwood fine mulch, and color enhanced mulch products right here at our facility located near Indianapolis, Indiana. Be cautious, not all mulches are created equal and to prove it McCarty’s offers a 100% satisfaction guarantee. 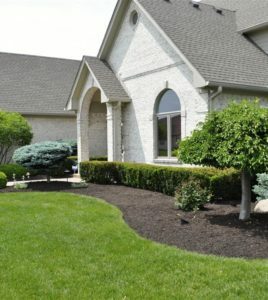 We proudly provide mulch products to homeowners and landscapers alike throughout central Indiana, including cities like Greenwood, Carmel, Westfield, Indianapolis, Fishers, Avon, Plainfield, Franklin, Bargersville, McCordsville and Geist. Choosing the right mulch for your yard project is essential to the long-term health and beauty of your landscape. Choose McCarty Mulch! When it comes to landscape maintenance, mulch is one of the best additions you can make to your landscape to provide long-term benefits. Mulch will save you time and energy by suppressing the growth of new weeds and reducing the impact of old stubborn weeds in your garden and landscape. 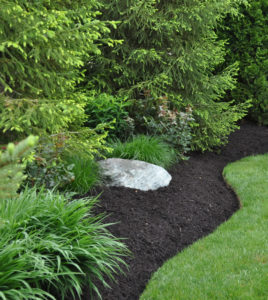 Adding a fresh layer of mulch to your landscape beds will help to maintain even, uniform soil temperatures throughout the year causing less stress on your plants. 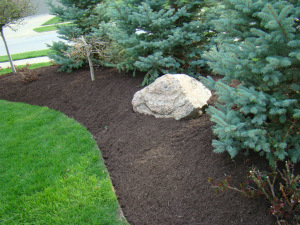 Mulch will retain moisture and reduce evaporation and will help to reduce and control soil erosion in your landscape. A new layer of mulch will also provide an organic element to improve the health of the underlying soil through decomposition which in turn will promote healthier, nutrient-rich soil. And never underestimate the aesthetic benefits it will give to your landscape, providing a beautiful attractive appearance throughout the year. McCarty Mulch doesn’t just claim to be a sustainable “green” company, in vogue as so many companies do today. We have actually been a leader in our green strategy and environmental impact by sourcing quality raw materials that are often by-products of other industries, including sawmill wood bark and recycled tree wood fiber in the production of our mulch products. McCarty Mulch uses only the highest quality materials available in our production process and we never use substandard raw materials such as ground up 2’x4’s, pallet wood or construction debris that may be contaminated with nails and chemicals. 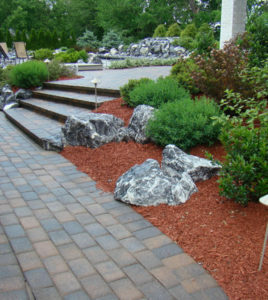 When it comes to landscape mulch products, no one does quality like McCarty Mulch & Stone! Our customers have a wide variety of mulch types and options to choose from at McCarty Mulch, including those made from native Indiana hardwood bark, southern Florida cypress, cedar and various color enhanced dyed mulches. 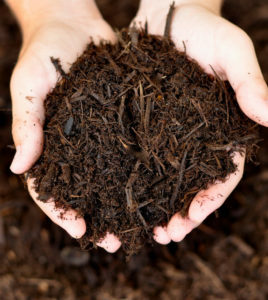 One of the most frequent questions we receive is…What is the “best” mulch for me to use? And the quick and easy answer is there is no mulch that is “better” than another type. It really just boils down to personal preference, cost, color and texture. Our premium bark mulches and wood fiber mulches are available in different textures and consistencies including fine grind and regular grind and we also dye these products with vibrant natural colorant using brown, dark brown, black, golden or red for long lasting color retention. 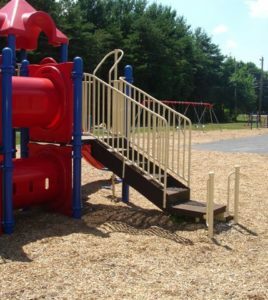 For areas like dog kennels and walking paths, we manufacture economy grade mulch and woodchips. And for children’s play areas we produce a safe, soft, certified playground mulch material. Indianapolis and all Central Indiana residents can rely on McCarty Mulch & Stone for their mulch, topsoil, and decorative stone needs. 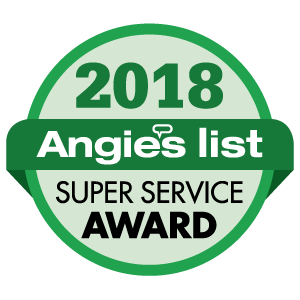 We strive to make each customer’s experience unique, helping you find the right product to make your yard the envy of the neighborhood. This beautiful mulch begins as Premium Hardwood Mulch. The mulch is then generously dyed with a dark, dark, dark walnut brown colorant in a 20 ton mixing machine that mixes the dye and mulch together producing a perfectly blended high quality enhanced mulch. A tad bit more body and texture than the “mini's”. Size range 1/2″-1 1/2″ pieces. If there is a better looking mulch on the market today then we haven't seen it!! !